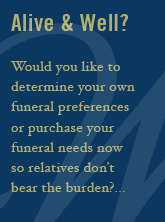 Wilbert products include burial vaults and cremation urns, as well as keepsakes, memorialization, and mementos. Read more, and view the Wilbert burial vault video explaining the important role of a burial vault. Wilbert offers lined cremation urn vaults that give cremation urns varying levels of protection from subsoil elements, the weight of the earth, and cemetery maintenance equipment. A lined urn vault is made of high-strength concrete and reinforced with durable plastic or a combination of durable plastic and metal (bronze, copper, or stainless steel).